Last year my college friends and I went axe throwing and decided that we would make an annual outing together that didn’t involve the children with us. 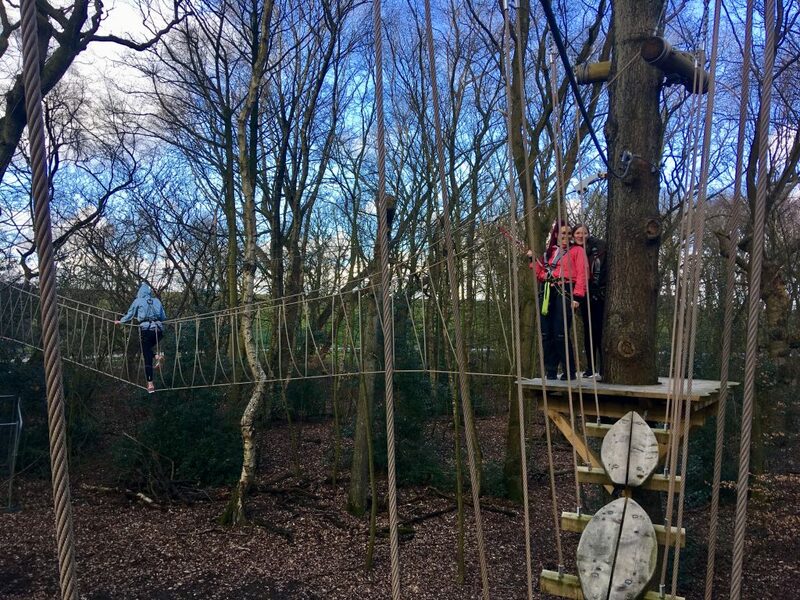 I was invited* to Tree Top Trek at Heaton Park in Manchester and thought it would be perfect for our annual outing. 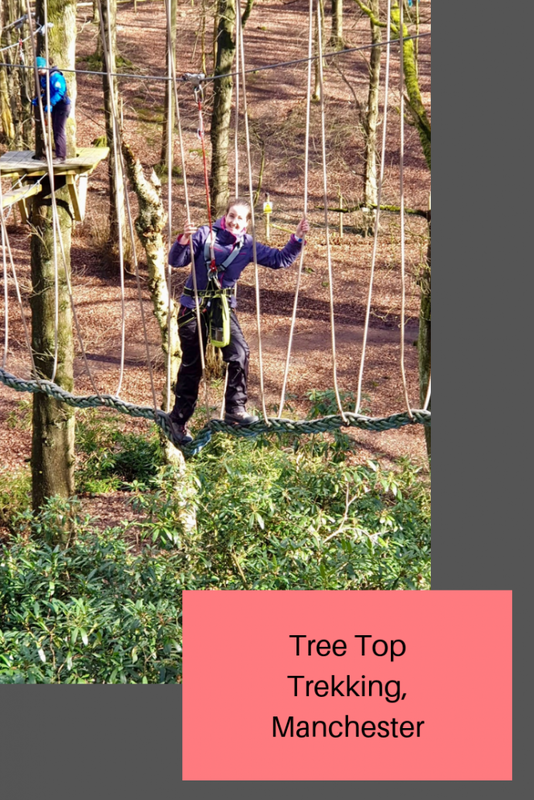 Treetop Trek is an award-winning spectacular aerial adventure where you can swing, climb, balance and fly your way through the woodland canopy on fun challenges and zip lines! There are two treks through the park both designed for adults and children to enjoy. 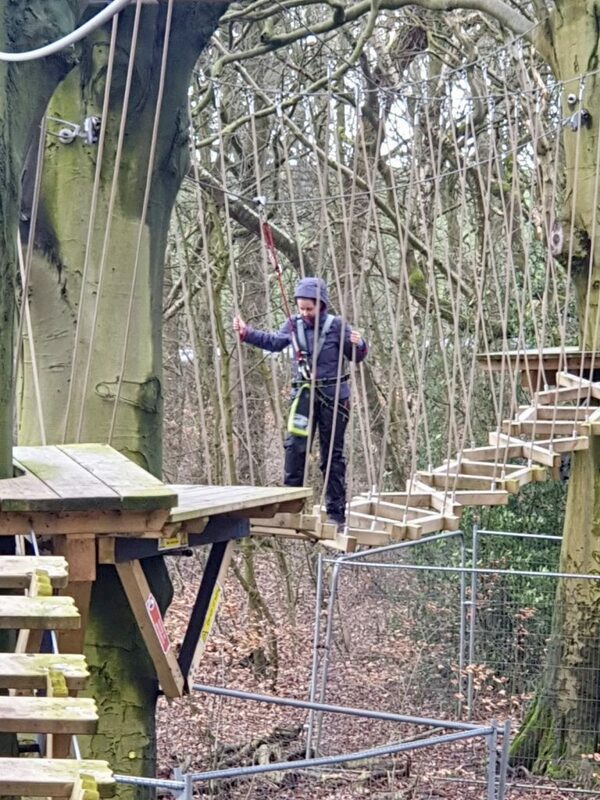 The mini trek is suitable from ages of 5 and over, the zip line trek is suitable from ages 7 and over. There are also Tree Top Nets for ages 3 and over. We went on the zip line trek which took us about 90 minutes to complete, they do say to allow 2 hours and half of the group we set off with did take a lot longer than us. We went with 2 instructors which allowed for them to have all of us in view and make sure everyone was safe. 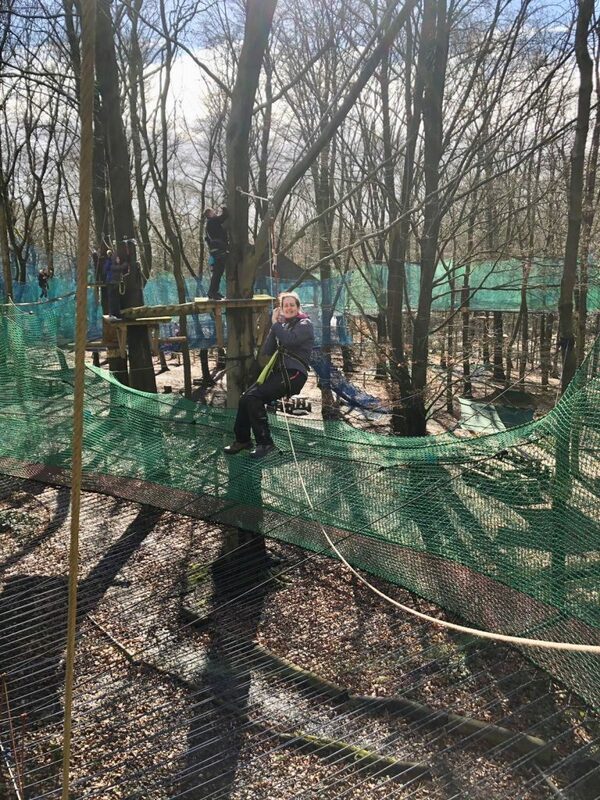 The trek took us up to heights of 15m and across 23 obstacles including balance bars, swinging logs and Indiana bridges as well as along 15 zip lines. It is definitely one for your inner thrill seeker! 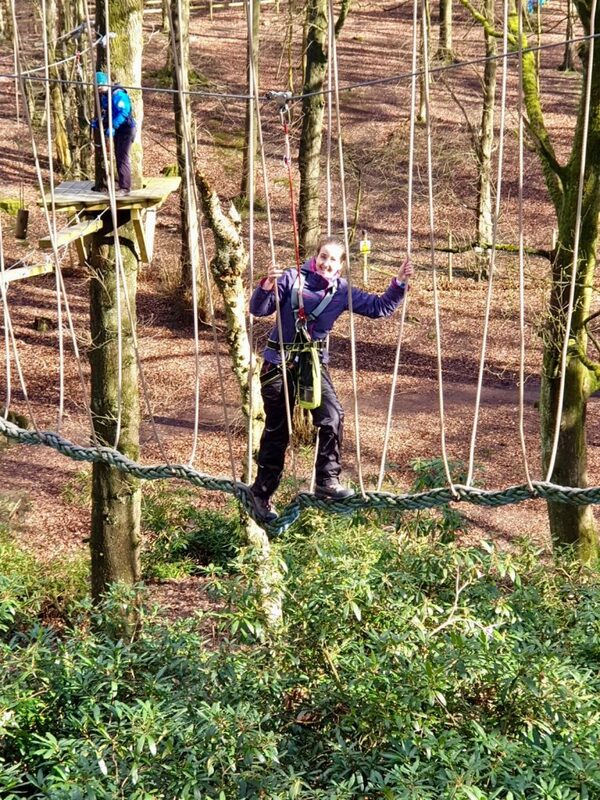 It does appear that I no longer have an inner thrill seeker and I honestly focussed on getting to the end, rather than enjoying the challenge haha. My 3 friends however, really enjoyed it and embraced the various challenges. When we got to the end, we were asked if we wanted a certificate for completing it and told that if we showed our wrist bands in the cafe, we would receive 20% discount so we headed there for a well deserved hot chocolate. Ooooh I was wondering whether we had one of these close to us in Manchester! Sounds like a fun (and thrilling) thing to do and love that you have made doing an activity together part of your girl’s Day with a difference. This looks amazing fun! It’s not too far from us either so we’ll have to check it out. Any reason you wouldn’t go for the zip line again? This looks like a great day out – fun way to be active! I am definitely up for this! We’ve done something very similar and we all loved it. It’s a great day out. Oh wow this looks like so much fun! Im not one for heights lol but I know my husband and both are kids, who are total thrill seekers would love this! Oh this looks like so much fun! We did something similar this weekend and Eva LOVED it!